Every year you think you have so much time to plan your next corporate holiday party but somehow before you know it the holiday season is here and you haven’t even thought of the party. We’ve got you covered and can make it easy for you. 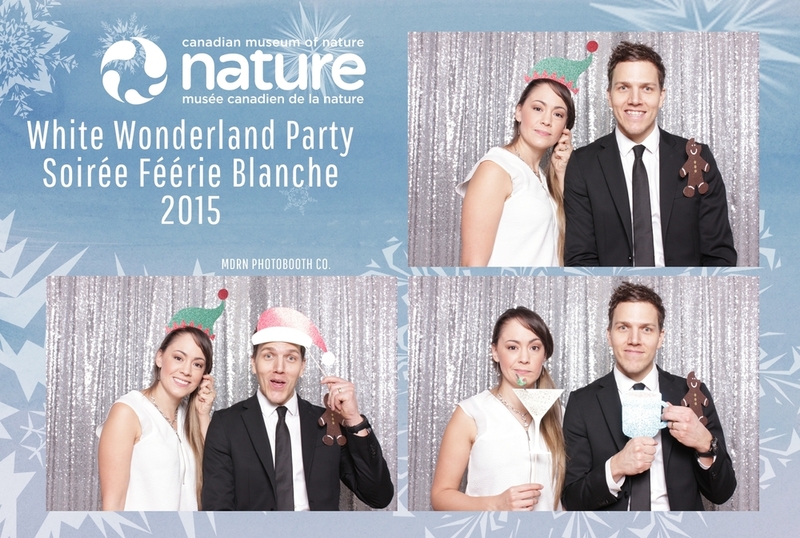 Whether your having a small office get- together or a massive company-wide event, including MDRN Photobooth in your plans will ensure your next Christmas party one that your guests will actually remember. These are just some of the standard things you get with our booths an of course we can make it custom if you're looking for something very specific. We provide a mix of Christmas, Holiday and winter wonderland props so that no one is left out of the fun. Winter wonderland theme or a traditional Christmas booth. Whatever your theme we have a backdrop that works. All our templates are designed in house specifically to your needs. We have tons of layouts available to be customized to match your holiday party style. We make your template just for you!